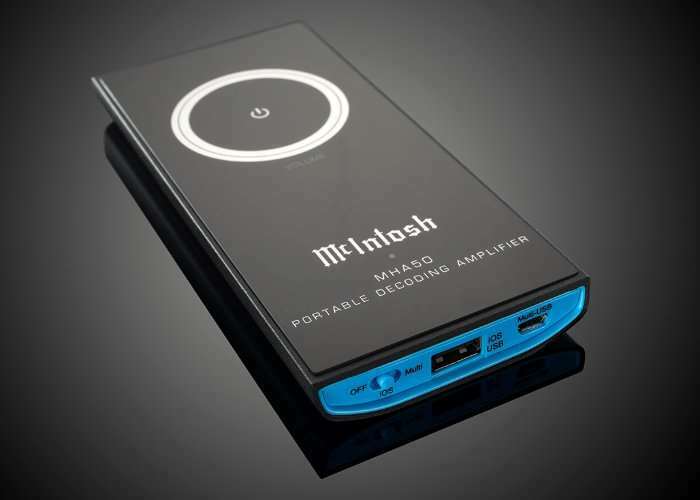 McIntosh has created a new pocket amplifier to enhance the listening experience from your smartphone, tablet or computer in the form of the McIntosh MHA50 Portable Amplifier priced at $700. 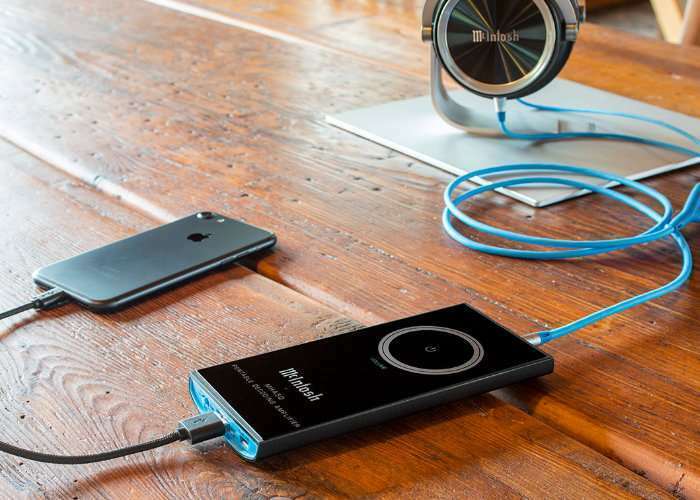 Supporting inputs from Windows, Mac OS, iOS and Android devices as well as Bluetooth 4.1 and wireless connections via aptX, the high-performance 32-bit DAC can handle 32-bit/192nHz hi-res audio. McIntosh MHA50 decodes music files from almost any digital source and outputs audio that is superior to what your device alone can produce. It supports 32-bit/192kHz hi-res audio, DSD64, DSD128, DSD256, DXD352.8, DXD384 files and asynchronous USB audio. Comparably sized to smartphones, the MHA50 is compact and lightweight for easy portability with a beveled case that fits comfortably in your hand or pocket. Its sleek design features a glass front panel with a touch sensitive volume control knob inspired by the classic knobs found on countless McIntosh amplifiers, preamplifiers and other products. It’s built primarily from durable extruded aluminum which also has some inherent noise shielding properties to help block external interference. Jump over to the McIntosh website for more specifications and ordering details via the link below.